of expectation at slightest provocation. below eyes where it should be full and well made up. and unsightly. Full and rounded contour of cheeks undesirable. rear ribs deep, well sprung. Very short coupled. and powerful. Stifles well bent, turning neither in nor out. Hocks well let down, upright and parallel when viewed from rear. moderately arched. Turning neither in nor out. curled. Of good strength and fair length. neither in nor out. Good drive comingfrom well flexing hindquarters. withers, back, ribs and quarters with undercoat of short, softer hair. sufficient length to impart appearance of strength to foreface. 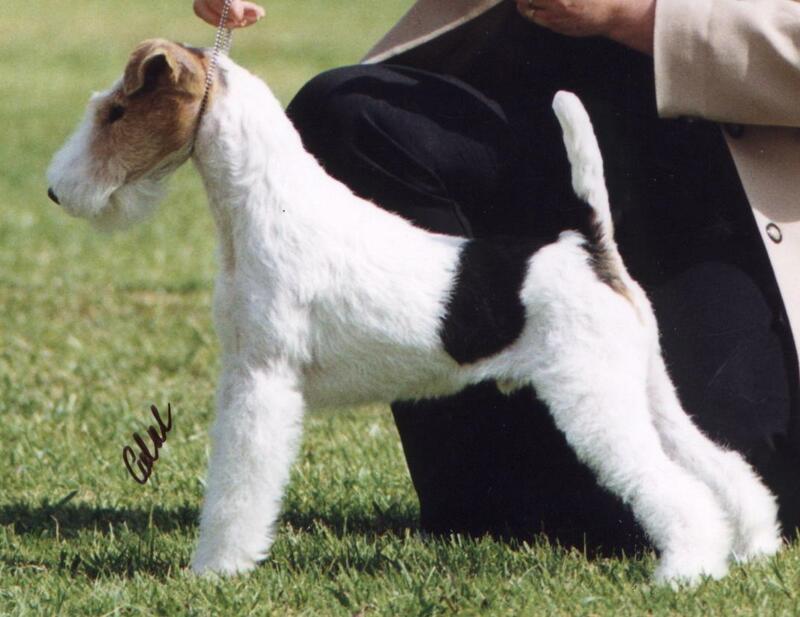 White predominates with black, black and tan or tan markings. Brindle, red, liver or slate-blue marking undesirable.